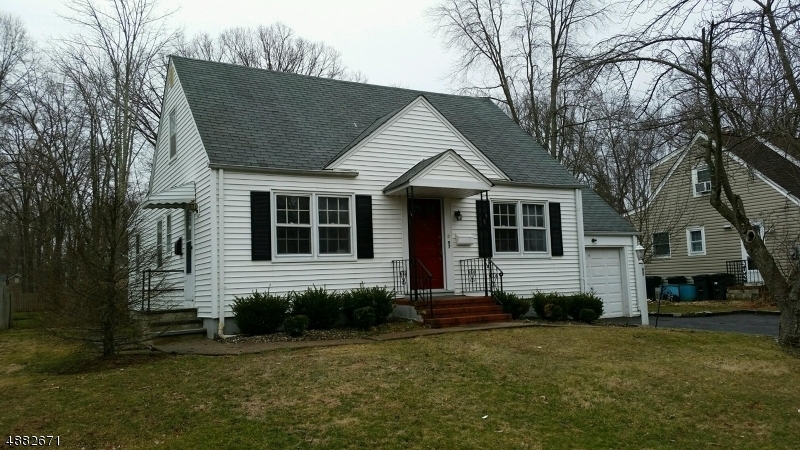 Single-family Cape Cod home with one car garage on a park-like level lot. This home has 3 bedrooms, 1.5 bathrooms, hardwood floors/carpet, unfinished basement with french drain, washer/dryer, 1 unit forced hot air heat, natural gas, public utilities, a/c unit in the window. This property is on 0.25 acres. This property is being sold "as is". Great starter home or perfect for renovation. Desirable neighborhood, great school system, close to the center of town, highways, train to NYC and all at an affordable price! Directions: Accessible from routes 24, 78 and Garden State Parkway.